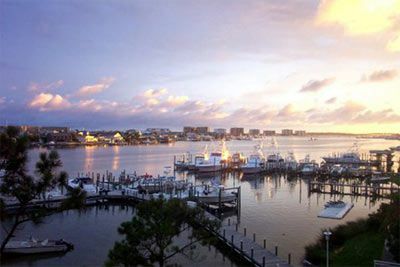 Destin has grown from a historic fishing village to a premiere resort destination. 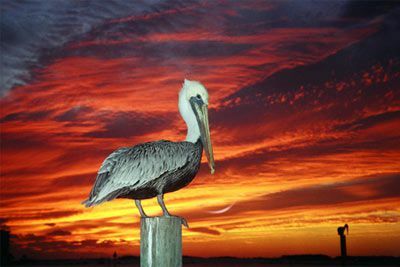 The city sits along the coast in the Florida Panhandle, at the end of a peninsula separating Choctawhatchee Bay from the Gulf of Mexico. 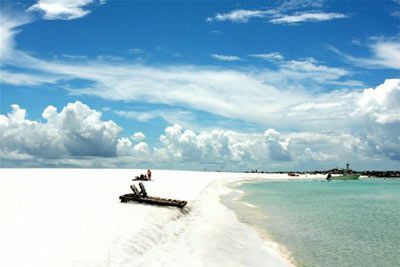 The area is famous for its emerald-colored waters and sugar-white sand beaches, hence the nickname “Emerald Coast”. Visit the Village of Baytowne Wharf in the Sandestin Resort for shopping, dining, and exciting nightlife. The Market Shops and Silver Sands Factory Outlet Stores, both nearby, offer more shopping. Why not try Big Kahuna Water Park, just a short drive away, or if you’re willing to travel a little farther, check out the Ebro Dog Track for greyhound racing. Eden State Gardens and Mansion is a perfect place to enjoy the beautiful scenery and perhaps a picnic. Make a trip to the Harborwalk Marina at the foot of the Destin bridge where you can rent a slip or chat with fishermen to perhaps pick up a few deep sea fishing secrets. 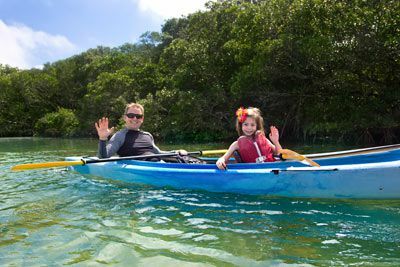 Climb aboard a chartered fishing or party boat or simply lounge on the beach. Destin can be accessed by arriving in the following airports: Okaloosa County Air Terminal (approx. 35 min drive); Northwest Florida Regional Airport (approx. 45 min drive); Pensacola Regional Municipal Airport (approx. 1 hr drive); Panama City Airport (approx. 1-1/2 hr drive). 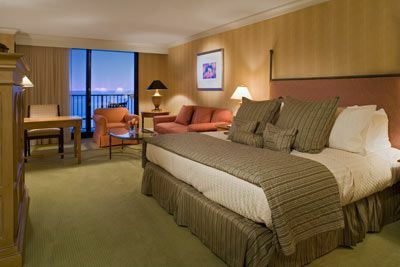 All-suite accommodations, four-diamond service, and a sparkling location along the beaches of the Emerald Coast. Accommodations include refrigerator, microwave, wet bar, coffee/tea maker, sleeper sofa, sitting area, private balcony, internet access (fee may apply), safe, iron/board, hairdryer, and complimentary newspaper. 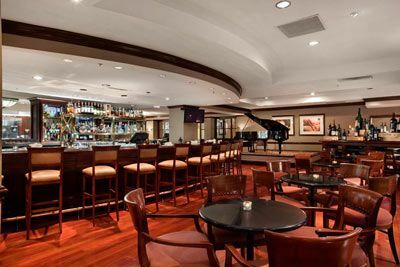 If you really want to be wined and dined, make a reservation at Seagar’s, featuring an 800-label wine cellar, prime steaks and seafood, plus a superb location. 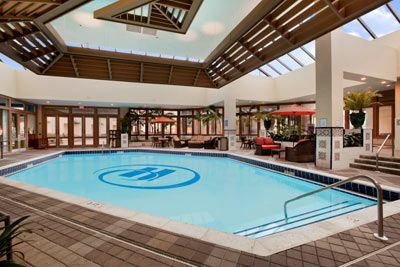 Treat yourself to a luxurious spa treatment at the Serenity by the Sea Spa, or play a game of golf on one of four championship courses at the resort. 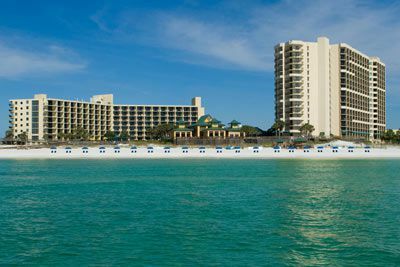 The Hilton Sandestin is located minutes from Village of Baytowne Wharf; a short drive from Eden State Park, Gulfarium, and Destin Fishing Docks; and midway between Pensacola and Panama City. Certified Registered Nurse Anesthetists: This program has been prior approved by the AANA for 20 Class A CEC; AANA Code #1036392; Expiration Date 4/28/2019. $100 February 24, 2019 to March 26, 2019. No refund after March 26, 2019; however, 50% of tuition paid may be applied toward tuition for another NWAS program within the next 12 months. Cancellation must be made in writing.